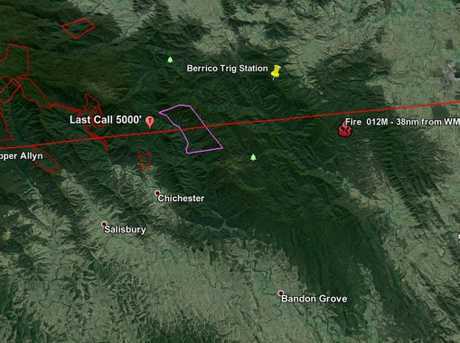 "We're up and down like a yoyo," warned experienced pilot Michael Hutchins in a panicked radio call, as his small Cessna aircraft plummeted into the dense expanse of Barrington Tops. Hutchins and his four passengers left the Whitsundays hours earlier, on the single-engine VH-MDX, refuelled at Gold Coast Airport and headed home towards Bankstown, Sydney. Opting on a whim to circumnavigate the military airspace above Williamstown RAAF rather than wait for flight clearance, Hutchins steered away from the coast just south of Taree and headed towards the Barrington Ranges, 90 minutes north of Newcastle. They experienced thick cloud cover as they flew through the unfamiliar mountainous terrain, and to make things harder, ice began to form on the plane's wings, severely affecting the aerodynamics. Two vital pieces of equipment failed and the plane started to dip and rise and lose "a hell of a lot" of altitude as it became caught in a downdraft and started plummeting 1000 feet (305 metres) metres a minute. The radio correspondence conveys the horror: "Our standby compass is swinging like blazes"; "Just to compound things, we thought we had a cockpit fire, but we seem to have resolved that little problem" - although Hutchins' controlled demeanour belies the impending danger - at first. VH-MDX flew at 7500 feet (2286 metres), then swiftly dropped to 6500 (1981 metres). As the operator at Sydney Air Traffic Control warned that 6000 feet was "the lowest safe" height an aircraft can fly in that area, the pilot's voice became noticeably more panicked. "Mike Delta X-Ray … 5000," he yelled. 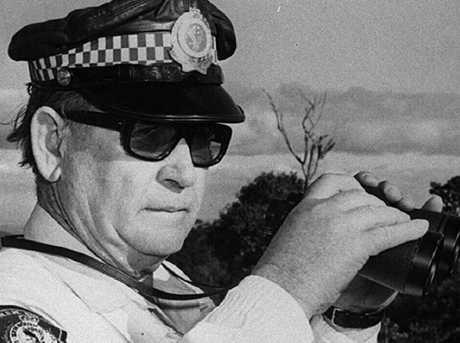 Inspector Ken Price, one of five men on board the VH-MDX Cessna 210 that crashed in the rugged Barrington Tops in 1981 and has never been found. This was the last anyone heard from Hutchins, VH-MDX, or any of its passengers. That was on Sunday, August 9, 1981. Almost 38 years later, neither the plane nor its occupants have ever been found. It's a mystery that has baffled aviation experts and search and rescue teams for decades. An initial nine-day search, involving helicopters and hundreds of volunteers searching by foot, turned up nothing, as did a follow-up search four weeks later, this time with over 400 army reserve members, police officers and bush rescue volunteers scouring the forest. VH-MDX remains Australia's only unsolved airplane mystery since World War II. It's been 38 years, but there are those who continue to search by air and land and offer up theories about where the plane's wreckage is most likely to be. And then there are those who believe that, for decades, we have been searching in the wrong area altogether. ARE WE SEARCHING THE WRONG AREA? New Zealand man Gavin Grimmer has dedicated a lot of his time to hunting for lost aircraft. He holds a private pilot's licence and runs a website that chronicles his efforts to uncover missing planes. After years of extensive research, he has come to the conclusion the searches for VH-MDX are scouring the wrong area. "I did meet some resistance over this," he tells news.com.au. "But it was interesting that the future searches after this date moved to not far from where I had calculated it to be. "I guess the people in charge of those searches had come to the same conclusions as I had, at about the same time." Mr Grimmer believes the radio warning that 6000 feet was the lowest safe altitude in that area led to confusion over the aircraft's fate. "In reality, so long as they pulled out of that dive within the next 2000 feet, as that was about how high they were above terrain in that area, they were still safe," he said. Mr Grimmer explains that a lag time in the radar brought extra confusion for the air traffic controllers in Sydney. "They were seeing MDX's progress 12 seconds behind where MDX actually was," he said. This means the plane was some 1250 metres further along than what the Sydney controllers were seeing on the radar. "MDX was [further] past the immediate danger area than what was thought at the time, in fact almost at the point of where the cloud bank would have ended," Mr Grimmer says. "Hence the 'fact' that they crashed in the area of the transmitted '5000' was only a presumption, brought about by the terrified tone of his voice." Map shows the path of the VH-MDX flight as calculated by missing plane sleuth Gavin Grimmer. The plane also had a basic autopilot function that would still operate if other equipment was damaged, a fact Mr Grimmer believed was overlooked. "There was no guarantee that the position of this call could be relied on to determine where MDX crashed. It could have flown much further after that call and so that would put it in a much harder to find area," Mr Grimmer says. "Someone in the Bush Search and Rescue said, 'It's like looking for a needle in a haystack, but first you have to find the correct haystack'." As it stands, the majority of the search has taken place in an 80km crash zone. It's a large area, made all the more daunting by the knowledge the plane likely dropped altitude steadily, rather than tailspinning out of control and dropping. Each year, NSW Police and SES team up to look for VH-MDX, expanding the search year on year. Last year, a 90-strong team, featuring police rescue officers, ambulance special operations team, rural firefighters, and SES crew searched an area of three square kilometres across three days. The search doubles as a training exercise for emergency services in remote area searching, as well as a testing ground for new technologies such as the SES radio network and satellite communication. "The area of high probability is a massive area, so it will take us many years to search it, but we are slowly getting through it," explains Glenn Horrocks, a Deputy Unit Commander for the Bush Search and Rescue Unit of the NSW State Emergency Service. He tells news.com.au that although during World War II many planes crashed and were never found, such an occurrence is "very unusual" these days. 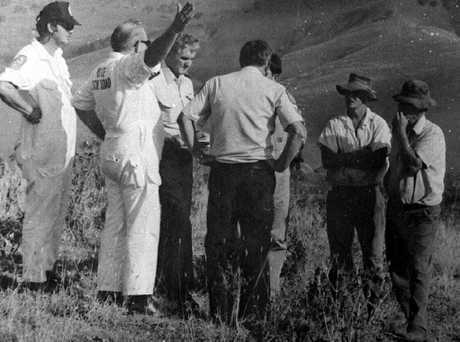 Searchers in the rugged Barrington Tops where a VH-MDX Cessna 210 carrying five men crashed in 1981 and has never been found. "Modern radar, air traffic control and aircraft tracking systems means that an aircraft crash which happened today would usually be found within a few hours," he says. "But this is not always the case - the MH370 disaster shows that even large commercial jet aircraft can disappear in exceptional circumstances." Impenetrable forest, imprecise information on the aircraft's last moment, and four decades of additional growth all make the search an immense undertaking. In short, it's not that surprising VH-MDX hasn't been found. "You only have to do some off-track walking in the Barrington Tops wilderness to realise how it could hide a light aircraft for decades," Mr Horrocks continues. 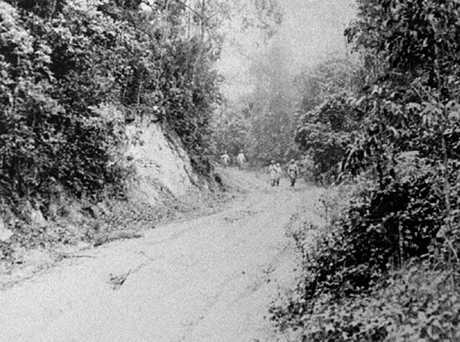 "The thick rainforest vegetation could easily hide the wreckage and make it invisible unless you were standing right next to it. There are also large sections of the wilderness area which are so remote and hard to get to that almost nobody goes there." Although it's been close to 40 years, Mr Horrocks explains the aircraft wreckage would be in quite good condition, either in one or several large pieces. "Most importantly, it is likely to be clearly identifiable, so if you stood next to it you would know straight away it is an aircraft. There is likely to be moss or mould growing on it and vines strung over it, but many aircraft wrecks remain amazingly clean for decades," he says. Searchers hunt for the missing plane and its passengers. He is also aware of Mr Grimmer's findings, and acknowledges a lot of similarities between his analysis and their own. "But he has some theories which I don't see much evidence to support, so those areas of his research we consider unlikely," he explains, adding that limited search resources mean they tend to "focus on scenarios which are best supported by reliable evidence". He doesn't, however, rule Mr Grimmer's analysis out, deeming it "unlikely … but still possible". "It is clear that so far we have been searching in the wrong area," Mr Horrocks admits, "because VH-MDX has not been found yet. Also everybody else has been searching in the wrong spot as well, of course. "Only when VH-MDX is found will we know what really happened to the aircraft. So we will not know who is right or wrong until then." Last November, Mr Grimmer was contacted with a startling new lead. A woman claimed that on the night VH-MDX disappeared, her family was living in a caravan on a property north of Stroud, a temporary situation while their house was being built. The van was on the side of a hill, and the wind that evening was so fierce, her father felt the van was in danger of being tipped. He went outside to secure the van with ropes when he saw the lights of a plane flying dangerously low over the valley. He waited for the plane to re-emerge, and when it didn't, he assumed it must have crashed. The next morning he woke to news that a plane had gone missing at Barrington Tops, roughly 60km away. 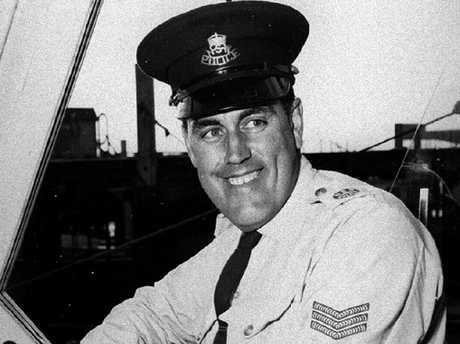 Sergeant Peter Anforth who headed the initial nine-day search for VH-MDX, a Cessna 210 that disappeared over the Mount Royal Ranges in Barrington Tops National Park in 1981. "Although he reported it to the authorities, they didn't take any notice as they felt it was too far away from where they believed it to have crashed," Mr Grimmer explains. Although the witness is now deceased, her daughter told Mr Grimmer that her father and various friends and family members conducted amateur searches for the craft for years to no avail. This news matched Mr Grimmer's theory the plane crashed further east than where the official searches had been conducted over the decades. "It was not only very feasible that VH-MDX made it this far but very likely," Mr Grimmer concludes. "I believe we now have the haystack, but the problem still is to find the needle in it. "After all this time, what we are likely to find is anyone's guess."